The Mount Shasta Mountain Bike Association is a 501(c)3 non-profit organization dedicated to building and maintaining high quality trails for the Northern California community. It is our goal to provide sustainable, trail-based recreational opportunities which provide access to the unique natural landscape of the Mount Shasta area. The Mt. Shasta Mountain Bike Association was founded in 2012 by Mt. Shasta area trail enthusiasts. MSMBA is an official chapter of the International Mountain Biking Association (IMBA). Our organization was fostered and mentored by the Mount Shasta Trail Association, which, beginning in 2009, supported the efforts of local mountain bikers to build a multi-use trail on federal land, this project was named the Gateway Trail. Phase I of the Gateway Trail was completed in fall 2011. It represents both a gateway to the National Forest from town, and also a first step toward building a local network of multi-use trails linking neighboring communities in the Mount Shasta region. 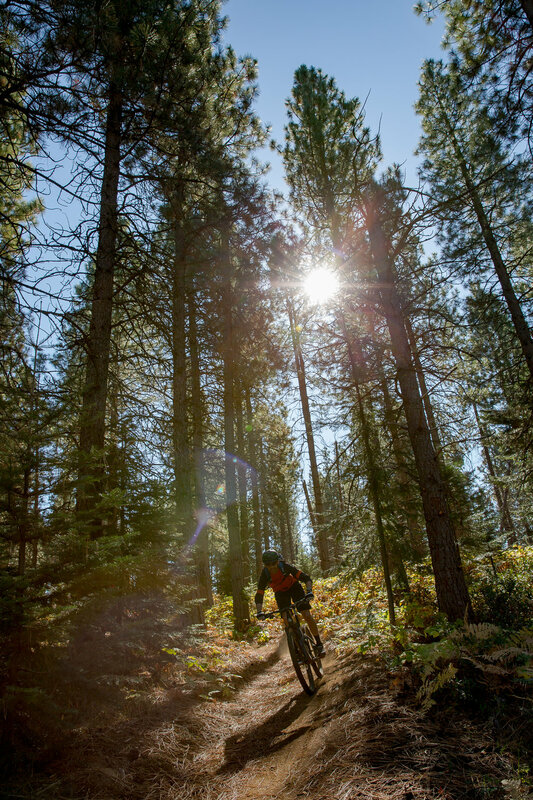 Plan, fund, and build sustainable, high-quality, multi-use trails in the Shasta-Trinity National Forest. Monitor and maintain existing trails. Create and maintain partnerships with landowners, resource managers, community members, trail builders, volunteers, and regulatory agencies. Secure necessary permits, agreements, and easements to ensure long term access to trail-based recreation. Gateway Trail Phase 2 will add roughly 45 miles of new, accessible, sustainable, multi-use recreational trail to the Shasta-Trinity National Forest. This project will connect Mount Shasta Ski Park, Mount Shasta Nordic Center, and McBride Springs Campground with the City of Mt. Shasta. The extension includes three new trailheads for public access. The project will also link to existing National Forest trails and the Great Shasta Rail Trail. In 2017, Bike Shasta and the Mount Shasta Trail Association secured $420,000 from the McConnell Foundation for project implementation. Federal permitting and design is expected to be completed by late summer of 2018 and construction is scheduled for Spring 2019. In 2014, Bike Shasta began an ambitious campaign to build over 100 miles of world-class, multi-use trail in the greater Mount Shasta area. In 2013, our partner organization, the Mount Shasta Trail Association, commissioned and published the conceptual trails plan. This report outlines a detailed strategy for transforming our community into a world-class trails destination.